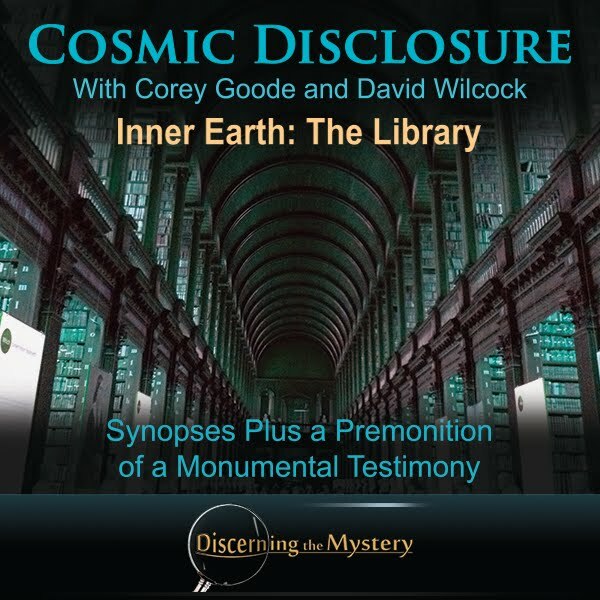 Here are some interesting perspectives from Shem on the latest Cosmic Disclosure with Corey Goode and David Wilcock. This week, Goode described the portion of his journey through Inner Earth where the priestess lead him to the library. However, as one might imagine, this was no ordinary library. It was lined from top to bottom with multiple types of literature from multiple time periods, and in every language a person might be interested in. There were ancient scrolls in multiple languages, books bound in leather, a hemp-like material, and more. There were books from eras long past, literature from present day, and everything in between. Corey even described books that had actual ISBN numbers that looked brand new, as though they were just recently purchased. (Keep in mind, this is Inner Earth we're discussing.) All of this material was stored behind a sort of energy protection which sounded like a form of preservation for these materials. Goode went on to describe the scene of this library as ancient, and at the same time, futuristic. The walls made of white marble, the books and records spanning thousand upon thousands of years... The scene sounded spectacular. Accompanied by this backdrop, Corey spoke to the priestess on the subject of the origin of humankind on Earth, both that of the Inner Earth people, as well as we the surface-dwellers. The conversation then moved toward the translations of Zecharia Sitchin. It turned out that this library had copies of the ancient Sumerian writings, and that these people were well aware of Sitchin's work. The priestess informed Corey that Sitchin's translation was mostly, if not entirely contrived. According to her account, Sitchin was manipulated into writing these false translations by what sounded to be Illuminati influences for the purpose of causing deception. It was intended to cause the Ufology community to adopt the Illuminati belief system with regard to the history of Earth humans. David Wilcock chimed in at this point to add an interesting anecdote of synchronicity to this information. He shared, for the first time ever, the fact that he had a college friend who knew Sitchin, and this friend passed on the fact from Sitchin, himself, to Wilcock that the translations were contrived. There was also another instance of synchronicity in which Wilcock and Sitchin shared an awkward elevator ride together. During this ride, Sitchin was completely silent and visibly uncomfortable even though the two had never met. It was obvious that Sitchin knew who he was, as Wilcock was fairly well-known at the time. For some reason, Zecharia avoided speaking to him and refused to even acknowledge that David was standing right next to him in this otherwise empty elevator. It was as though Sitchin was ashamed for some reason. In his testimony, Corey references the website “Sitchiniswrong.com”. This site refers to many different subjects, but the one of interest is, of course, on the Anunnaki. 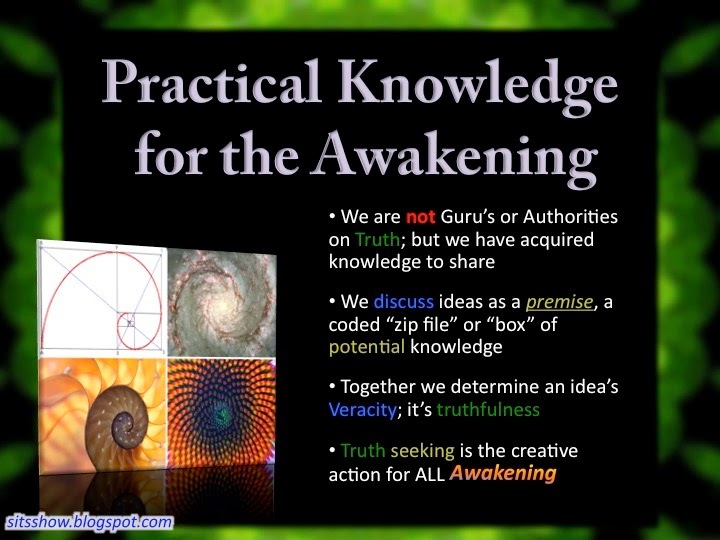 This Anunnaki section gives multiple resources for translating and verifying Corey's claims. Here is that section from the website. As I noted in my openletter to Zecharia Sitchin, I have challenged him and other ancient astronaut researchers to produce one line of one cuneiform text that demonstrates his ideas about the Anunnaki are really in the Sumerian texts. I want to see one line of one text that says things like the Anunnaki inhabit a planet or inhabit Nibiru, or that the term "Anunnaki" means "people of the fiery rockets, that sort of thing. Now, I could drone on about Mr. Sitchin's bogus translations and understanding of the Anunnaki, but I thought of something much better. You don't need to take my word for any of this. The Sumerian texts are online in English translation and are searchable -- even by Sumerian word! I invite you -- no, I challenge you -- to click on the link below and watch me search the Electronic Text Corpus of Sumerian Literature right before your eyes for the Sumerian word "Anunnaki." Hereis a PDF file of the search results, but it's best if YOU do the search, since you will be able to click through the search results and get to English translations of the hits. Watch the VIDEO below and then do the search at the link below (shown in the video) and see if what I'm saying is true. Mr. Sitchin was making it up when it comes to what he says about the Anunnaki. The evidence is waiting for you now. Don't take my word for it. 1. Go to thisURL (it's the "advanced search" from the front page). 2. Then at the top of that web page (see image below), type in "a-nun-na" (with the dashes, but not the quotation marks) next to "search for"; then select "lemma" from the next pull down menu (after the word "as"). There are many alternative as well as mainstream sources one can reference in order to verify accurate Sumerian translation of these accounts. The above website serves as a useful springboard for such a search. Corey went on to speak on the priestess's account of the origins of humankind on a galactic level. She described to Corey how they (the Inner Earth dwellers) believed that the entire universe is sentient, that all of the stars, the planets, and everything in general is sentient on some level. They believe that on every level and in every size, life/sentience reproduces itself in fractal form. This is very similar to the text of the Law of One, as Wilcock pointed out. We see the same forms on every level, from galaxy to atom. Everything in the universe has the same general form, dynamic, and sentience. This is an actual, verifiable fact in both science, and in proven, esoteric texts as well. Below is a excerpt from the Law of One describing the fractal nature of universal form, referred to by the source of the texts as “Logos”. 19.12 Questioner: This seems to be a carefully planned or engineered stage of development. Can you tell me anything of the origin of this plan for the development? As previously stated, this universally repetitive form and dynamic can be seen on every level and is fractal in nature. For more information on the Law of One, visit the website here. This episode concluded with the discussion of the ancient Indian accounts of both vimana (flying craft/cities) and the open battles these craft were seen having on the surface during ancient times. These accounts are extensively documented in ancient sanskrit, though many of them have not yet been translated. This subject was the interlude to next week's episode. Click here to read more on the subject of vimana. So, it seems that the claim that Sitchin's translations were incorrect are true. 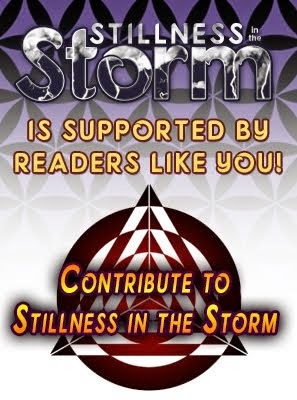 Though what you, the reader, choose to do with this information is completely up to you. There is a specific reason why I, personally, consider this revelation significant. It is because of a dream I had two nights before watching this episode and seeing the reaction that much of the audience has had. This dream seemed to telegraph this particular event fairly accurately. Though in a figuratively representational manner, the dream seemed to predict the near future that we are now experiencing. There have been many times in the past when I woke up from a dream feeling as though there was more significance to the dream than your average representational imagery. So I decided to start recording them. One night in particular stood out more than the rest. At the time, I had no clue as to why, but after I watched this weeks episode of Cosmic Disclosure, and saw the reactions thereto, I believe I know why those images appeared to me.